The Spring Wildflower Gala, the Preserve’s largest fundraiser, is the area’s premier harbinger of spring. 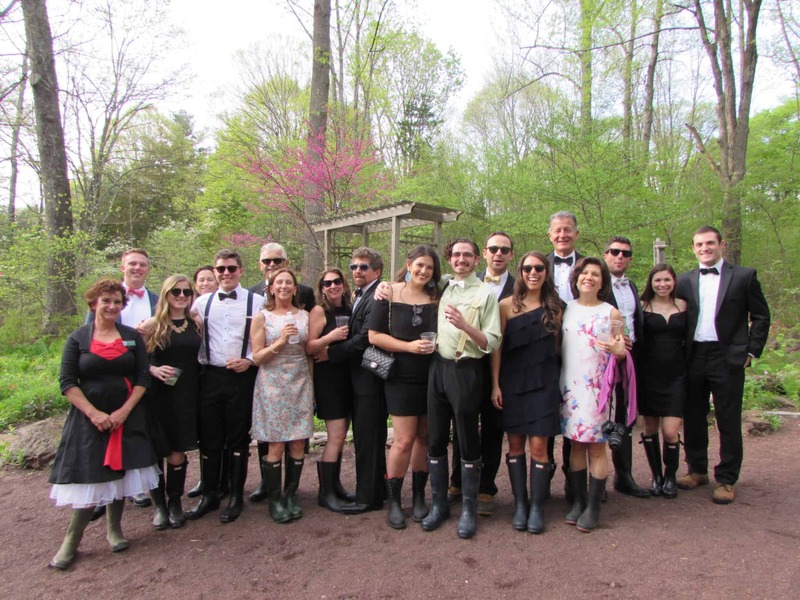 This annual black-tie and muck-boots event transforms the Preserve’s Moore Pavilion in the Preserve’s front meadow into an elegant party venue. Guests explore the stunning spring wildflower beauty of the Preserve with magical evening woodland walks along the trails, savor a gourmet, seated dinner featuring spring-themed ingredients, engage in spirited live and silent auctions, and dance the night away. Funds raised from this year’s event will help diversify the Preserve’s living plant collection. Reservations for the 2019 Spring Wildflower Gala are officially open. Reserve your tickets today! – Tickets are tax-deductible less $70. – Phone reservations will not be accepted. Please list the name of each guest. Please indicate if you would like to order a vegetarian meal. Please indicate any dietary restrictions of which you or your guests would like to make us aware.